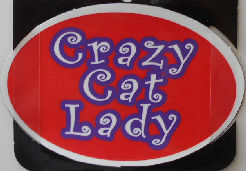 Tell them you are a proud cat lady with this oval magnet. The large flexible magnet is 4" wide x 2 5/8" high. New.